One of the things I love doing, especially when I'm alone, is experimenting in the kitchen. 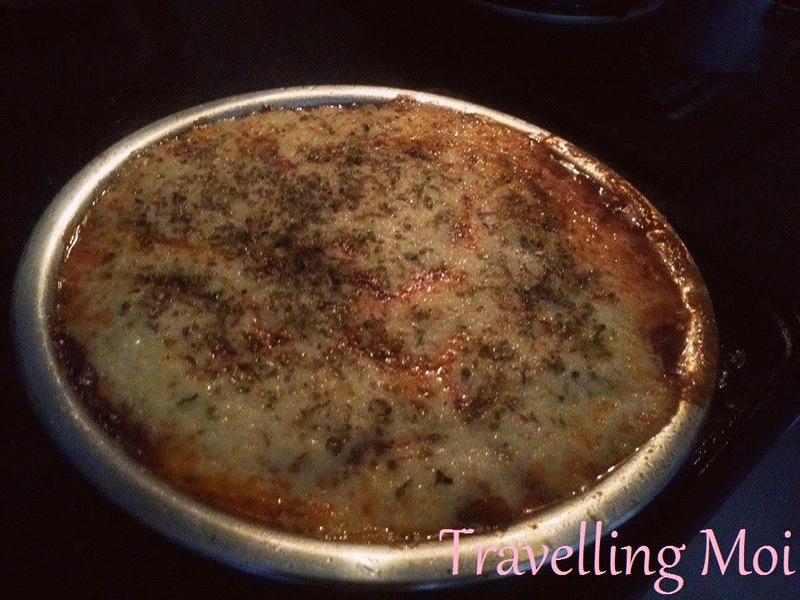 And the recipe I'm going to share today is a healthy Mediterranean dish called Moussaka. Moussaka is an eggplant and potato-based dish dating back to the Ottoman Empire. 1) Slice the eggplant thinly, marinate with salt. 2) Peel the potatoes, boil them until soft then slice them and set aside. 4) In the same pan, add a little more olive oil then sauté minced garlic and chopped onions until they are fragrant then add the minced mushrooms, minced carrots and minced paprika. Dash some salt and pepper. Sauté for 5-7 minutes until the vegetables are soft. 5) Add the can of tomato sauce, stir for 5 mins , add cinnamon powder and red wine. Then season to taste with salt and pepper. Simmer for 15 minutes. 1) In a deep pan, turn heat to medium, melt the butter. Add milk. 2) Slowly dash flour into the pan, mixing it with the melted butter and milk. 4) Dash some salt and simmer for 5-10 minutes. Make sure it doesn't burn. -Pre-heat oven to 250 degrees. -In an oven safe container (like pyrex), arranged some eggplant and cover the whole container. On top of the eggplant, do the same with the potatoes, cover the container with potatoes. -Pour some of the vegetable tomato sauce and spread all over the container. -Pour the bechamel sauce all over the container covering the tomato sauce. -Repeat doing this until they are all finished. -Then put inside pre-heated oven and cook for 30 minutes. Did you know you can shorten your links with Shortest and receive dollars for every click on your short urls.